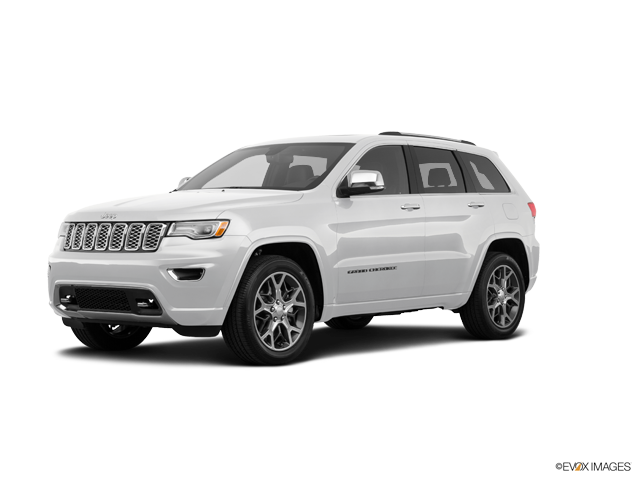 2019 Jeep Grand Cherokee Review | Specs & Features | Gillette WY " "
What’s the Price for the 2019 Jeep Grand Cherokee? How Many MPG Does the 2019 Jeep Grand Cherokee Get? Unlike most midsize SUVs these days, which are crafted as crossovers, the Jeep Grand Cherokee has always strictly stuck to truck-based construction for optimal off-roading. The 2019 model year appears at the tail end of the nameplate’s fourth generation of production, with blind spot monitoring and rear cross-traffic alert now standard on all trims. Also, manufacturer Chrysler introduces a new trim, the Upland, in place of the Sterling Edition from the previous year. In total, the 2019 Jeep Grand Cherokee has 12 flavors: Laredo, Laredo E, Upland, Altitude, Limited, Trailhawk®, Limited X, Overland, High Altitude, Summit, SRT®, and Trackhawk. The standard engine on this midsize SUV is the renowned 3.6-liter Pentastar® V6, which generates 295 horsepower and 260 lb-ft of torque. It comes with a stop-start dual battery system to increase fuel efficiency by eliminating engine idling. For that reason, the Pentastar® engine helps provide the vehicle’s peak efficiency of 18 mpg in the city and 25 mpg on the highway. However, if you go with the Limited, Trailhawk®, Limited X, Overland, High Altitude, or Summit, you can instead go with the larger and more powerful 5.7-liter HEMI® V8, which generates 360 horsepower and 390 lb-ft of torque. The SRT® is named for its unique 6.4-liter HEMI® V8 engine, which generates 475 horsepower and 470 lb-ft of torque. The Trackhawk is also unique with its workhorse, which is a supercharged 6.2-liter HEMI® V8 with 707 horsepower and 645 lb-ft of torque: the most powerful engine yet installed on the Grand Cherokee. Each engine is mated to an 8-speed automatic transmission, with paddle shifters added on the SRT® trim for greater driver control of gear shifting. In terms of drivetrain, the Trailhawk®, SRT®, and Trackhawk get a standard four-wheel-drive system; on the other nine trims, you can choose between that and a front-wheel-drive system. A five-seater, the 2019 Grand Cherokee counts cruise control, remote proximity keyless entry, Bluetooth® wireless technology for hands-free phone operation and audio streaming, six-speaker audio, a memory card slot, two USB ports and an auxiliary audio jack for playing media from mobile devices, Android Auto™ and Apple CarPlay™ for smartphone integration, a one-year complimentary subscription to SiriusXM® satellite radio, and a Uconnect® 4 infotainment integration system anchored with a 5-inch touchscreen as standard interior amenities. Upgrading in trim increases the chance of getting additions or enhancements such as leather seat trim, power-adjustable front seats with lumbar support, front seat heating and ventilating capability, remote start, a 7-inch LCD instrument cluster display, an auto-dimming rearview mirror, a garage-door opener, a rear DVD entertainment system, a single-disc CD player, HD Radio™ technology, 8.4-inch touchscreen navigation, and nine-speaker audio. In addition to the aforementioned blind spot monitoring and rear cross-traffic alert, standard safety and security features on the 2019 Grand Cherokee include seven airbags, a rearview camera, electronic vehicle stability, all-wheel traction control, rain brake support, ready alert braking, an anti-lock braking system, hill start assist, low-beam daytime running lamps, trailer sway damping, an accident response system, and a theft-deterrent system. Some trims also have hill descent control, lane departure warning, or a full-speed forward collision system. Can’t wait to try out the 2019 Jeep Grand Cherokee? 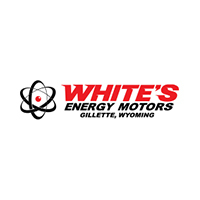 Call us today at our Chrysler Dodge Jeep RAM dealership at Gillette, Wyoming to schedule an appointment. One of our Jeep specialists will be available to assist you with your new-vehicle needs.